After Syria and Jordan in 2001 where I spent 5 great weeks, Egypt seems to be the natural next trip and at the beginning of 2002 I was thinking about this 3 weeks trip for a first discovery. 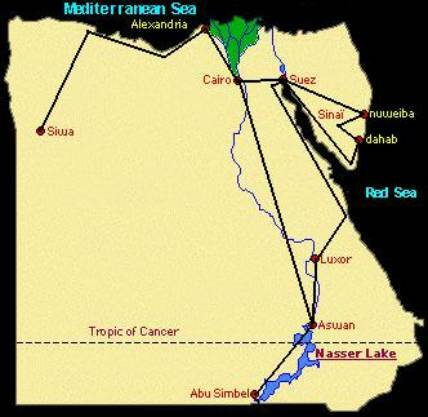 This discovery leads me from Cairo to Aswan through Luxor to learn more about the Egypt of the pharaohs and, after that, I went on with leisure adventures like Dahab on the Red Sea, Siwa Oasis and a felucca trip on the Nile river but also a night at the top of Mount Moses in the desert of Sinaï. This roadbook is intended to show you Egypt as I saw it and to make you want to discover or rediscover this country, as a solo backpacker or with friends.